It's rhubarb time in the Scullery Kitchen Garden so what could be more appropriate than Rhubarb Crumble Cake? 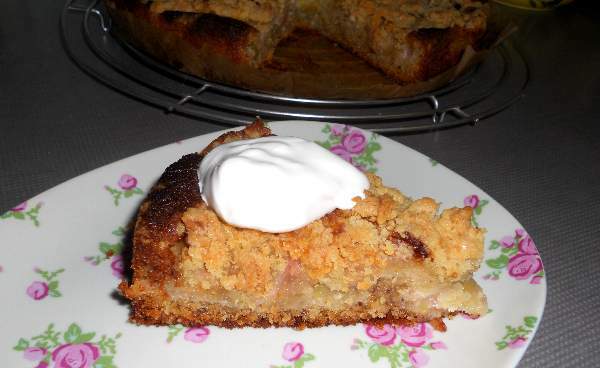 This cake will please everyone - those who enjoy good old fashioned rhubarb crumble and those who prefer rhubarb cake. Rhubarb's in season at the minute making this cake a budget cake, too. Everybody's happy! Prepare the rhubarb, cut into 2" pieces and mix with the tablespoon of sugar. Heat oven to 175°C. Whisk all the cake ingredients (apart from the rhubarb & crumble topping) together for 2 minutes. Put the mixture in the greased and lined 8-9" tin. 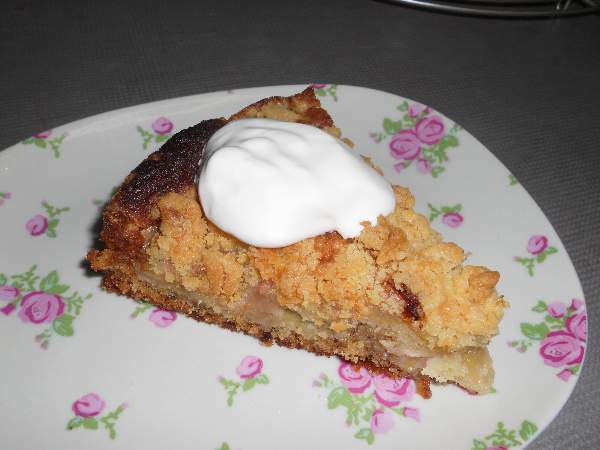 Make the crumble topping by rubbing the butter into the flour then mixing in the sugar. 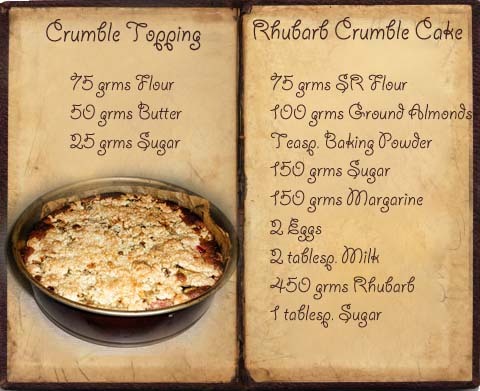 Roughly scatter the rhubarb over the mixture then scatter over the crumble topping. Cook for around 40-50 minutes. Lovely served with cream (any type), ice cream, custard or just own it's own - and a cup of tea, of course.